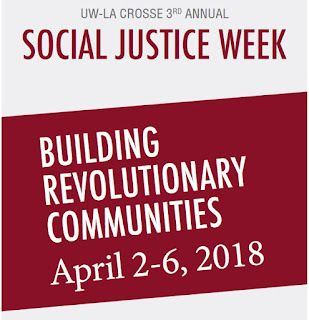 A week of presentations - with afternoon and evening sessions led by experts from across the country - will raise awareness of different kinds of social justice issues during the third annual Social Justice Week at UW-La Crosse, April 2-6. 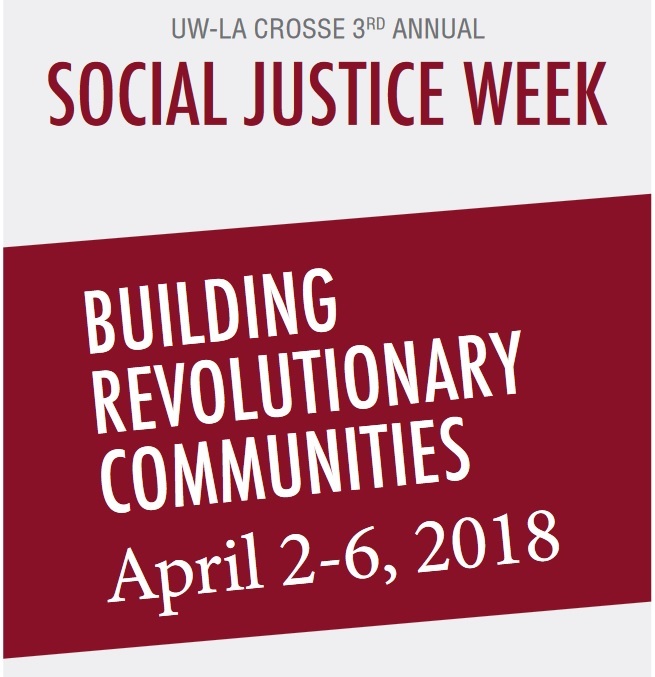 A full schedule of daily brown bag lunches, research sessions, roundtables, panel presentations, and featured speakers who highlight the collaboration and dedication to social justice topics are planned. This year's theme is, "Building Revolutionary Communities." Many events feature UWL students', faculty, and staff research and expertise. Other presentations will tap educators and activists from around the country - along with a social justice rapper.